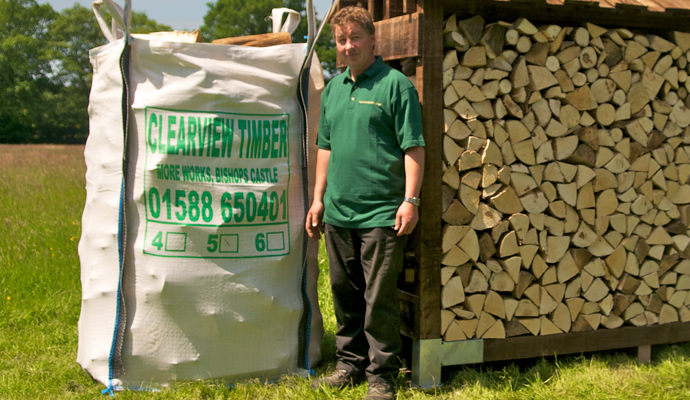 Clearview Stoves offer a specialist firewood service to stove owners, supplying home grown wood from our managed forests, in the right size to fit your stove and delivered to your door in a variety of quantities. 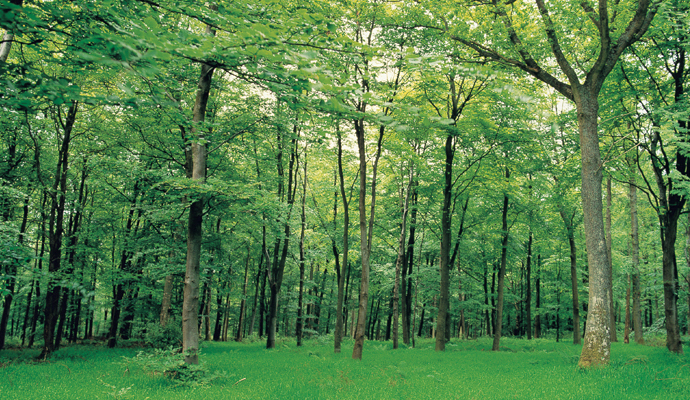 We supply hardwood thinnings (Beech, Ash, Oak etc). This excellent fuel is produced when woods are thinned to allow the better trees room to grow for the future. 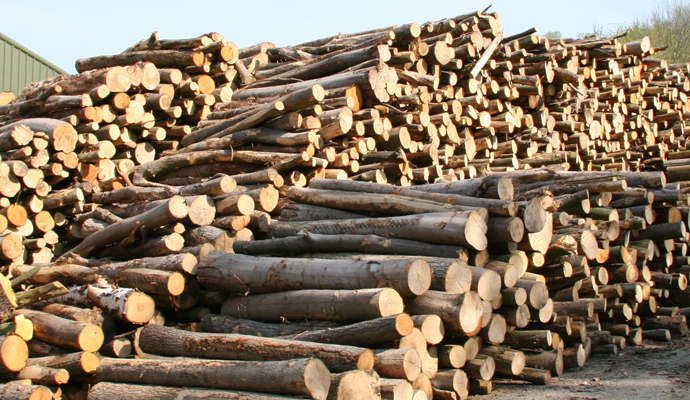 The Clearview processing system (one of Europe’s largest) cut’s our logs to three different lengths. A special automatic optimising system reduces the quantity of off-cuts that are unavoidable with conventional systems. 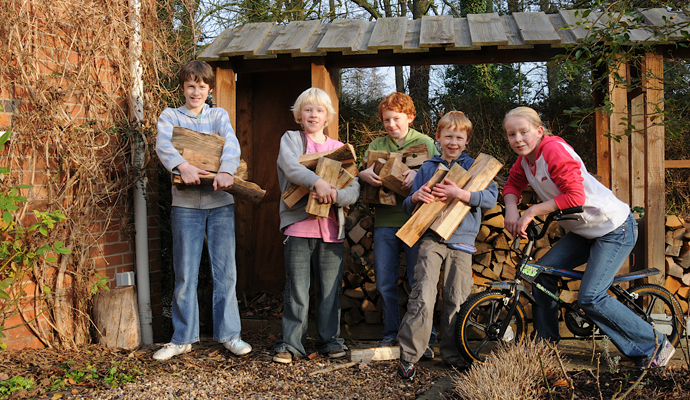 This system produces perfectly sized logs to feed your Clearview woodburning stove. 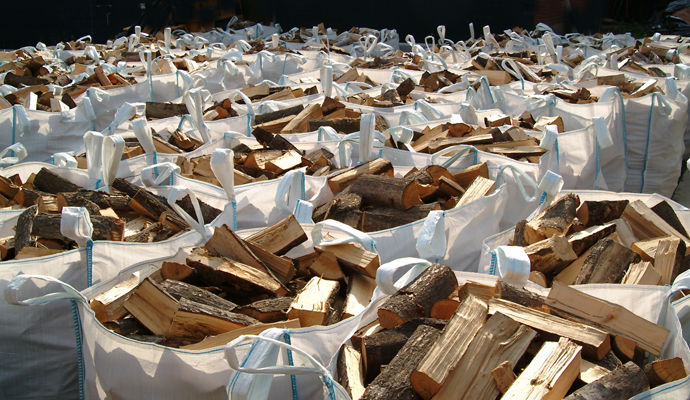 Clearview firewood is usually packed in giant bulk bags for easy handling. A ‘giant bag’ contains a similar volume to a typical ‘one tonne’ pickup load. Because these bags are tall and flexible they contain considerably more logs than a rigid container of the same volume and approximately double that of a standard builder’s bulk bag. These are strong and flexible and can be used several times. The smaller sized logs can also be supplied in standard builder’s bulk bags. We can also supply wood stores and wood sheds which can usually be delivered with your wood without an extra delivery charge. 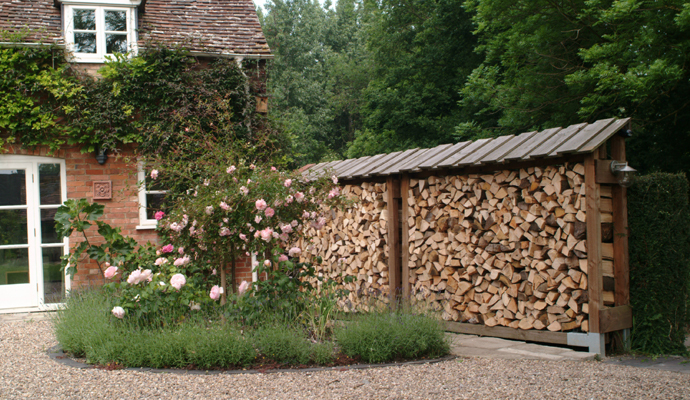 All our wood stores are made from locally grown and treated timber. We fully build each store, before dismantling and then flat packing for easy handling and delivery. Stores can be reassembled quickly, and all come with sturdy galvinised feet to provide a strong and long lasting footing. 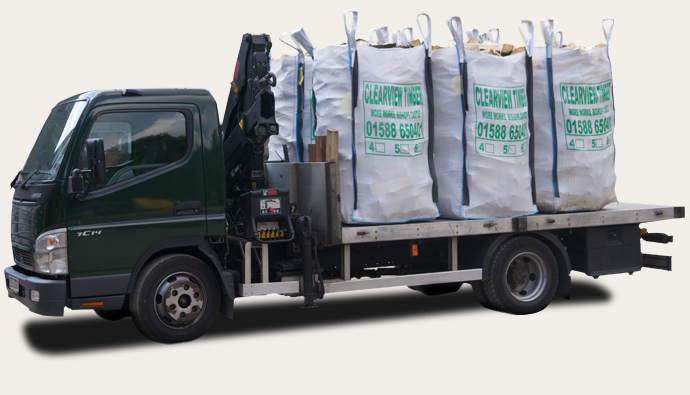 Delivery is within a 60 mile radius of More Works and can consist of everything from two to eight bags. We deliver by small lorry off-loading by a crane with a 5 metre reach. Please ensure your access is suitable prior to ordering. Wood can also be delivered nationwide by carrier, please phone on 01588 650401 for prices and suitability.